A big blank wall makes a brilliant advertising space, but what do you do if it’s just too big for a video wall installation? The good news is that, thanks to the brilliance of multi-projector edge blending technology, you can still turn it into something special. Here at , we can combine multiple images to create a single, seamless and flawless image – it’s the perfect static display option for an oversized wall (or several small ones), large foyer and function venue. As a cost-effective alternative to interactive advertising, static projection is a proven advertising option. A spectacular image that is detail-rich (think vast mountain ranges, aerial city views and major sporting moments) will always attract attention. The technology uses a standard PC with a multi-output graphics card connected to several edge blending projectors. Specialist software with a user-friendly interface enables pixels at the point of image overlap to be manipulated so that the resulting single image is both seamless and stunning. What can Edge Blending technology do for you? • Visually enhance your oversized wall, large foyer or function area. • Promote your products/services and corner your target market. 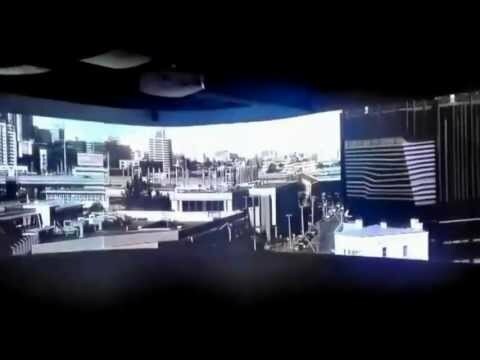 Projects seamless, flawless images using multiple projectors of any screen size. Can be integrated with affordable edge blending projectors. Can incorporate Interactive software – Motion Activated or Augmented Reality.